I really like Suzanne Enoch and have read other works by her. She is a fun author. Her characters always have great chemistry and she is a great storyteller. Even the “One Hot Scott” is no exception. Although it's a novella and only 50 pages the story is still enjoyable, although short. In 50 pages she gives us a heroine and hero with a villain to add intrigue to the story. Julia Prentiss is our heroine. She is trying to escape on horseback when she falls and is in the middle of the highlands. Luckily, she is found by Duncan Lenox. He is swimming naked when Julia sees him. They have instant chemistry. Julia is hesitant to explain to Duncan why she is running away. Duncan offers her protection in a cabin nearby. At first she refuses but she is left with little choice since there is a storm coming, she is lost and has no horse to ride away. While in the cabin Duncan and Julia get to know each other. 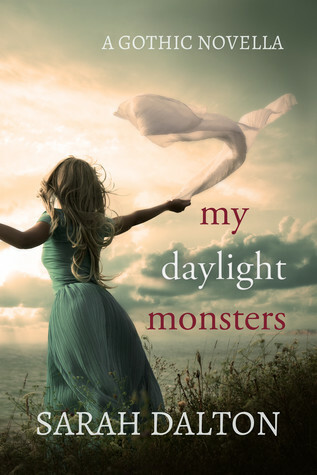 She learns that he takes care of his sisters and he learns why she escaped. (I'll leave it to the readers to find out what had Julia riding on horseback in the middle of the highlands.) Julia is from London but in Scotland on holiday with her sister and mom when she runs into some trouble. The bad guys, Bellamy and Orville, come after Julia but Duncan is able to protect her. He offers to marry her so she can be protected from them. Since this is a novella, she accepts and stays in his home in Scotland. This is short and fun read! This is a short but scary novella. Ms. Dalton grabs you from the beginning of the story. She is an expert in playing with realty vs. imagination. I thought the cover was beautiful and represented Mary Hades. The novella takes place in a Psychiatric hospital. Mary is having visions. The author does a great job of keeping the reader guessing, is Mary having a psychotic episode or is she having visions? Is it her imagination? Mary is a very sweet character and the reader is able to understand and empathize with her frustration. Everyone thinks that she is crazy and she feels crazy. She can’t understand why she keeps seeing “zombie” like creatures walking around. While in the Psychiatric hospital, she is in Magdalena ward. I really liked how the author played with the names “Mary” “Hades” and “Magdalena”. Mary meets a great group of characters in the psychiatric ward. They all form some type of relationship and reflect some of the issues in the Psychiatric Hospital. One special person is Lacey-Mary’s roommate. She helps Mary deal with her time in the hospital. Lacey proves to be a hero and is very instrumental in Mary's life. While Mary is at the hospital she has to come to terms with her visions as her life becomes in danger. She has to learn to figure out who she can trust ( real or imagined). Overall, this was really a great story. It was scary and very cleverly written. There is a cliff-hanger feel so I'm confident we will see more to Mary's story. First, I wanted to love this book. 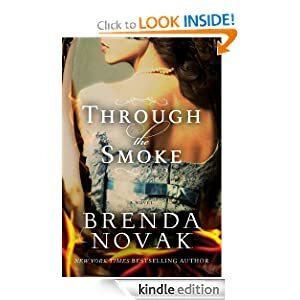 I have just read a contemporary by Brenda Kovak and I thought I was going to love this book. I did like, but not love it. I liked that the heroine and hero meet at the very beginning. I don't long and drawn out stories. I also thought that they had instant chemistry. Here comes the but... but... it fell flat in the middle. We begin the story with Earl of Druridge-Truman receiving a letter from his wife-Lady Katherine explaining that she is pregnant, it is instantly obvious that child is not his because he has been away from his wife and she has a history of infidelity. There is a fire and she dies. The story moves fast-forwards as Truman is trying to find out who set the fire and also who took paintings that belonged to his home. Rachel McTavishes becomes involved because her father is a prime suspect. Truman goes to Rachel's bookstore to question her about what she knows about the fire, and his wife's death. Rachel, although a poor village girl is well-read, very smart,strong and beautiful. She has no difficulty standing up to Truman. She does not like Truman because her father and mother think ill of him. He owns the mines where Rachel's father use to work before he is fired for drinking on the job. When the story begins her father is already dead and her mother follows. Truman has a cousin- Wythe who plays the part of the villain even though he is the one to rescue Truman from the fire. He is a pretty straightforward bad guy although he is always working to gain his cousins trust. Truman's life is complicated by the miners, who are also neighbors with Rachel. As her and Truman become involved they turn on her. This is where the story becomes very laborious for me. I've noticed that there were very few good-”guys” in this story. All the villages turn on Rachel because she becomes involved with Truman. She is left with no parents, no friends and a little brother to care for. Truman offers her a place to stay and she can not refuse after several times of trying to make it on her own. Katherine’s family is threatening to hang Truman because they believe that he is responsible for the death of Katherine and his wife. A father of Truman offers up his protection and daughter in marriage. They are his only hope, that or figuring out who set the fire. The whole premise of the story becomes Rachel and Truman trying to find out who set the fire, pushing misunderstandings behind them and Rachel going back and forth from Blackmoore Castle-Trumans home- and her old village. Ultimately, all the pieces of the puzzle fall together and we find out who set the fire and why-neither were a big surprise. Here are my concerns: although Rachel starts off strong she is ultimately relying on Truman for help. There are too many villains. The cover, although beautiful, does not represent the heroine -she is blond. Overall, this was an enjoyable historical romance but nothing that I would be interested in re-reading. If you like intrigue, mystery and who-dun-it this is the book for you. Loved, loved, loved this book. This is what I like to call a life-interrupting-reading kind of book. Life just gets in the way of your reading but all you want to do is read the story. 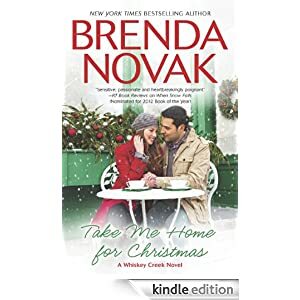 This is my first Brenda Novak book and it was amazing. First, her storyline was so original. There are no perfect characters in this book! She also makes the story so real that you just want to keep reading and find out what happens next. I never read any of the other Whiskey Creek Novels but it did not have an impact on my ability to follow the story line. First, Sophia DeBussi was a high school “mean girl”/ “spoiled-rich-princess” type. Through many different events she ends up penniless and homeless with her 13 year old daugher Alex. From the beginning we learn that Sophia was in a very abusive marriage with the town “has it all” husband. Skip was wealthy, good-looking and a basic scumbag. Sophia didn't have any friends because of her past behavior and her marriage to Skip. So when Skip rips off more than half the town everyone at Whiskey Creek holds Sophia accountable. They literally rip her home apart and take everything from her. Notice I have not mentioned Sophia's love interest-Ted. I loved how Ms Noval handled their relationship also! Ted and Sophia dated when Ted was in college but basically she cheated on him and got pregnant with Skip's daughter. Ted and Sophia never got over each other and it takes them a very long time to finally find their way into each others lives and develop a friendship. I thought Ted was such a great guy. I only hated the way he included Eve in his love-triangle. I also hated that Eve and Sophia drifted apart... BUT! Like all great redemption stories Sophia overcomes her demons, she becomes her own women, and finally becomes the person that she always wanted to be. I loved this book and am going to re-read it and recommend it ! 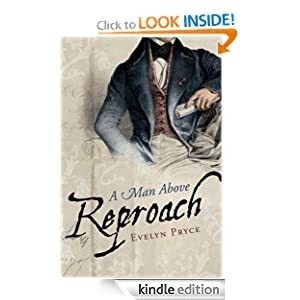 I really liked this story because it was a great combination of regency romance, history, and women's movement all in one. This story was very original and the plot, although complicated at times, very creative! The Duke of Lennox, Lord Elias Addison is known as “ the uncatchable” because he is seen in society as very standoffish. He happens to visit a brothel, “The Sleeping Dove” with his good friend Lord Nicholas Thackerey. Lord Nicholas is there to visit “his” girl Sally. Elias is instantly drawn to Josie who moonlights as a piano player at “The Dove”. We later learn that she also owns a bookstore and has written a manifesto on woman’s liberation- On Society's Ills and the Real Price of Prostitution. Josie ( Josephine Grant, the Bawdy Bluestocking,BB) has many aliases we later find out the meaning behind all these names and eventually her true name. We learn about her past and the many reasons why she has written such a controversial manifesto and why she plays the piano at a brothel. Josie and Elias are perfectly matched. They infuriate each other, challenge each other and ultimately can't help falling deeply in love with each other. Both are hesitant to get their hopes up about their relationship because Elias is a Duke and Josie well ( all of the above). I loved the heroine because she was tough, smart and definitely before her time. As all true-romance novels, Elias and Josie eventually overcome their obstacles, overcome their own self-imposed obstacles and find a way to be together. I loved how the author explained the title of the story and how it was symbolic throughout the book. Mrs. Pryce provided a great cast of characters. Elias' mother proved to be a force to recon with ( her involvement at the end of unexpected and very gratifying to the many themes throughout the storyline). Sally (Josie's shop assistant, “girl of ill-repute, and Nicholas' sweetheart) provided a great contrast to all the possibilities that were available to women of no titles. Pryce later includes Sebastian's cousin and Miss Francis, although characters that are developed much later in the storyline, leave readers wanting to know more about their story! Also, she leaves lingering questions about how or if Sally and Nicholas are able to carry on with their relationship. My only gripe about the story was Elias. He was always waving his titled around and was a little ( maybe a lot) sulky. Overall, great story, fun and interesting characters, very creative plot, twist and turns that were surprising, and a great read! I would recommend and would like to read more from this author. Cute story. A little hard to get into at first. I did not read the first part Starling so at times it was confusing to understand what was going on. I have a difficult time with fantasy-sh novels. There was also alot of different story lines... Mason and her family and Mason and her quest. Overall, it was a cute and enjoyable read. I thought this was a cute story by Maggie McGinnis. Our heroine Kayla Bennett heads to Whisper Creek Ranch in Montana for some physical and emotional healing. Kayla had a bad accident; she was in a coma, woke up to find her fiancé had stolen her money and married someone else. Although she has an MBA from Princeton, these misfortunes have led to her losing her job. With persuasion from her friends, Jess and Hayley they leave Boston and head to Whisper Creek Ranch. Whisper Creek Ranch is owned by Decker Driscoll’s mom. Decker lives in LA although he grew up as a cowboy in Montana. Because of financial problems that his mom is facing he goes back to Montana for the summer to give her a hand and help her get back on her feet, with the help of his brother Cole. Cole and Decker both discover that their father left a big gambling debt when he died and they try to figure out how they can save the ranch and pay off the debt. Decker and Cole play up the image of Montana cowboys to attract tourists although Decker has a successful architect business in LA. Although Decker is only at the ranch to help his mom he starts to feel more at home in Montana and realizes that there is not much for him to go back to in LA. Decker is also dealing with the guilt that he feels for the death of his younger sister. Although his mom and brother don’t blame him, his father who is now deceased did. Decker confides in Cole that their father practically drove him out of Montana because of his sister’s death. When Decker and Kayla meet there is an instant attraction on both their parts. Both, however, are not ready to deal with their emotions. Kayla feels unsure of herself after getting conned by her ex-fiancé. She also has a hard time learning to trust Decker once she realizes that he is playing up the cowboy image to help his mom attract tourist to her ranch. Decker is ridden with guilt over the death of his sister and has not had any emotional attachments since he left for LA-other than the occasional fling. Despite their baggage Decker and Kayla ultimately learn to let themselves become vulnerable with one another. Kayla uses her MBA to come up with a plan that will save the ranch. Decker learns to forgive himself and realizes that if his father had not driven him out of Montana he would have stayed and feels happy to be home. They both decide that Montana is where they want to stay and build a new future for themselves. My only issues were: 1) all this happens in two weeks. Doesn’t really seem like enough time to get to know each other and have so many emotional issues unfolded. 2) Even though Decker keeps telling Kayla that she should give him a chance when they do end up spending the night together he tells her is it was a mistake. Not the finest hour for our hero. I do recommend this story because it is a sweet and even fun read as the city girls go on little adventures. Along with Kayla and her friends there are other characters that provide a little more conflict between Decker and Kayla and provide some mischief along the way. The story was interesting as more secrets unraveled and the pace was good. Decker’s mom and brother are great characters that bring warm and even some funny moments to the story. Kayla’s two friends are supportive in her quest to heal from her past mistakes. Overall, this was a very heartwarming story. I liked this book by Molly O’Keefe. It takes place in a very small city of Bishop, Arkansas. Bishop has been hit hard by the recession and it is facing financial difficulties. A contest offers the opportunity to build a factory and revive a small town. But Bishop has competition. Monica Appleby spent a part of her childhood in Bishop, but a very sad and difficult part. While she lived there with her mom, her mother shot and killed her father in self-defense. Monica’s life spiraled out of control after this and she traveled all around the world with her mom. Her mom became a celebrity of sorts and got her own reality T.V. which highlighted the dysfunction of mother and daughter. Monica has a very stressful relationship with her mother. They finally meet in Bishop when Monica is writing a book about the death of her father. Jackson Davies is the mayor of Bishop. As a young guy lost he parents in a car accident making him the guardian of his younger sister-Gwen. Both Gwen and Jackson are a little resentful of their forced upon “parent/child” relationship. Monica and Jackson meet when she mistakenly receives an invitation to dinner at his home. They are instantly attracted to each other and ultimately push each other out of their comfort zones and both evolve as characters. The town of bishop is full of interesting characters although everyone has been affected by the death of Monica’s father. Although there are light and funny moments there are also intense moments when Monica and Jackson both have to confront their demons. Jackson wants to develop a good relationship with his sister and Monica with her mom. Overall, good story with a lot of different elements in play.